Military Situation In Yemen On November 20, 2018 (Map Update) 4.5555555555556 out of 5 based on 9 ratings. 9 user reviews. This map provides a general look at the military situation in Yemen on November 20, 2018. The situation in the eastern part of Yemen is stable bad with ISIS and al-Qaeda are slowly boosting their influence there. 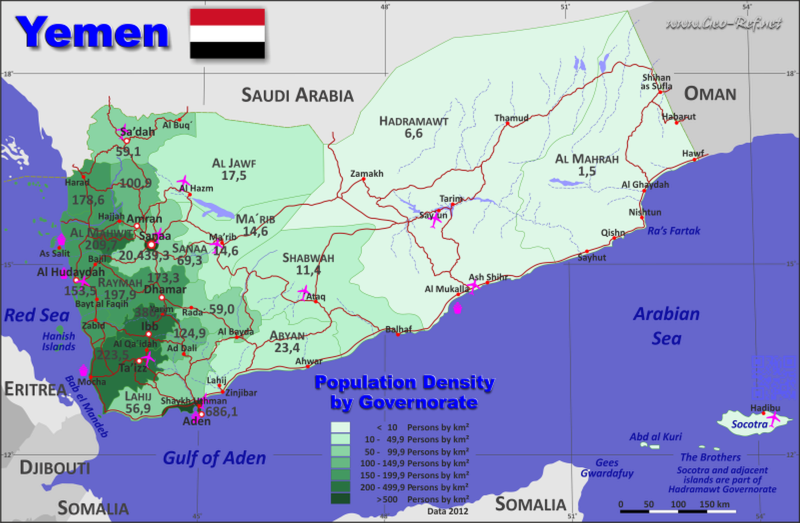 Here’s a map which helps to understand the situation better, in regard to population, magnitude of human crisis and why Hudaydah is so important for Yemenis. This map shows the population density on a provincial basis. The information is a few years old, but the relative population density didn’t change much. 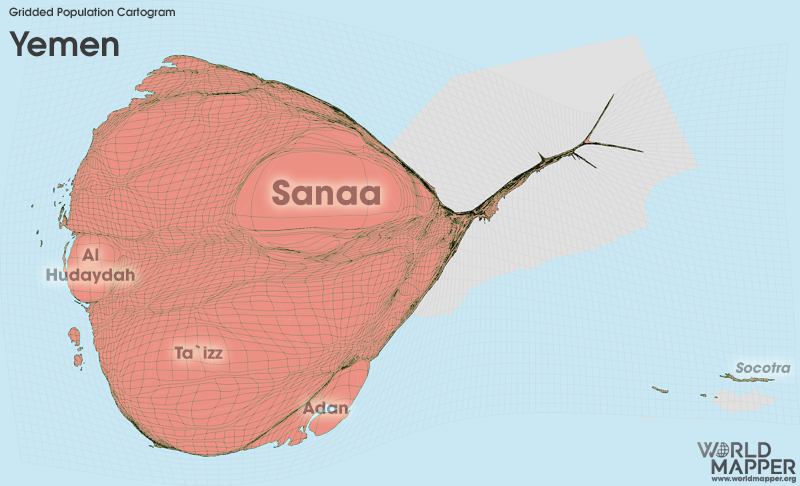 Most of Yemen population live in the area controlled by Ansarollah movement. Contrary to western narrative that claims Houthis created a police government that oppresses Yemeni people, the sheer amount of popular resistance against the coalition of terror shows the truth is otherwise and Houthis indeed have a widespread popular support, despite all the hardship. I wonder why that big AQ / ISIS vermin blog, just go North into Saudi Arabia ?.